This was supposed to be my final post for 2015, but I decided to give my brain a longer rest that usual at the end of a hectic November, and then suddenly 2015 was over. Thus, it is my first post for 2016, instead. I’ve been re-reading the last post I published in 2014 – reflections on my first proper post-doc year. It was interesting to read my thoughts on what the year had been like, and what lessons I had hoped to take into the year that has just come to a close. Did I learn them? A few, perhaps – sadly, some of these lessons I am still learning. This post reflects on my first year of a two-year postdoctoral fellowship, and what I am still learning about becoming an academic researcher and writer (and what I still probably need to learn in 2016, and beyond). I started 2015 as I am starting 2016, with many ambitious plans and some deadlines in place while others are more nebulous. I am starting with energy, and excitement about what is ahead, and also trepidation and nerves about workshops I need to organise and people I will have to work with that I do not know well (yet). So I’m keen to get going, and quite happy to get back into bed all at the same time :-). I do hope this is normal – the ambivalence about knowing what work I need to be doing, being excited about it doing it, and also dreading having to do at least some of it. One lesson I had hoped to learn, and suspect I will spend the rest of my life learning, is to be more realistic and focused in planning my projects. 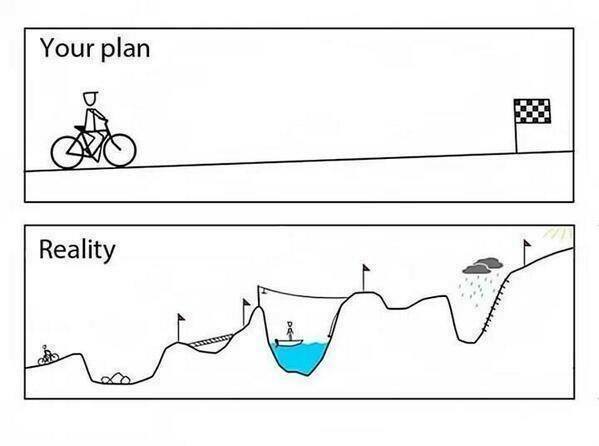 There are two parts to this: one is about carrying over or finishing off projects, and the other is about how many to actually plan for in any given year. I carried over a few projects into 2015 from 2014 that I just ran out of time to get to, so the carry over was not planned and I started the year feeling a little like I was on the back foot. This was frustrating. To try and learn a lesson here and start 2016 on a better footing, I planned my carry overs more consciously. I am working on a paper due at the end of the month, and one due next month, so I am carrying these. I am also halfway through a two-year research project that forms the basis of my post-doc fellowship, so obviously I am carrying this too. But here is what I feel I am finally learning: to plan 6 months ahead with writing projects, and to be a little more realistic about how long it actually takes to research and write a good paper (nevermind the reviewing period). If you plan at least 6 months ahead, you can avoid unexpected carry overs that can drag on into the new year and set you back on your planned-for progress. The second part of this is more tricky. I find I am finally getting ready to move on from my PhD research to expand into a longer-term research plan that will stretch me, and require new fieldwork, new theory and hopefully new research partners. So, I have many, many ideas for this research, and for papers and also a book that I really want to write. I have, really, too many ideas. I know that I can’t, and don’t have to, write them all in the next two years. But I want to. I want to write, like, 3 papers a month, and a book by December, and generate new data and code and organise all that data, and go to conferences and have a life. I know, right? It’s madness. I really battle to be properly realistic about what I want to do, what I need to do and what I actually can do. I don’t have an answer for this yet, but I am trying to plan for the year on three levels: from now until March; from now until June, and from now until December. I hope this planning will help to curb my madcap plans to do all the papers and research now. To help with part two a little more practically, I took my own advice in 2015, and made a work plan that I checked in with periodically and updated. It helped that I was required to write a narrative of my progress for each quarter as part of my fellowship admin, because these formed the basis of regular check-ins which encouraged me when I felt like I was making no real progress, and also helped me to plan for the coming quarter a little more realistically in terms of the time available to me and how much I had managed to do in the previous quarter with the same amount of time. This practice will be part of my research programme for this year, but is something I’ll take forward after the post-doc. I also keep a running log of the whole year, and to this I am adding a mid-level that covers just 6 months, so that I really can stay on track with myself and my plans. This is also important considering that I am working with other authors and lecturers this year, and we all need to stay on the same page in terms of goals and timelines. Robert Burns wrote that the best laid plans of mice and men often go wrong; the best laid plans of researchers and writers are subject to the same. Planning is, I am learning, important; realistic, focused planning that involves accountability and regular updates as life happens around and to you, is everything if you want to stay on the course you have set, and achieve the goals, papers, and satisfaction you have in mind. I wish us all a productive, successful and well-planned 2016!